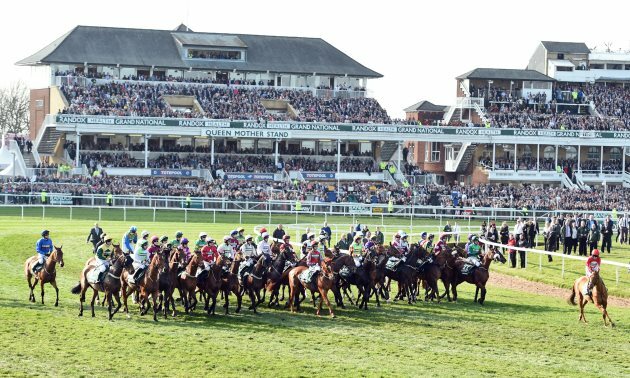 By Timeform, Sunday 07 April We round up the reactions from connections of beaten horses in the Randox Health Grand National, following Tiger Roll's historic back-to-back victory yesterday. WHAT A HORSE HE IS! Tiger Roll becomes the first back-to-back winner of the #GrandNational since Red Rum, with a superb performance once again! "It was just fantastic. I didn't expect her to run that well. I wasn't even going to bring her. 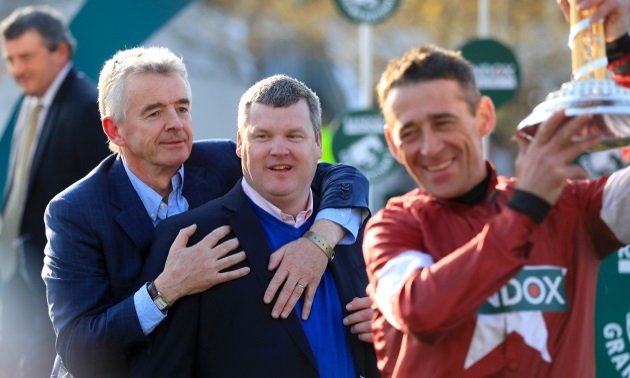 Robert (Power) said to save her for the Irish National, because the fences would be too big. "All the way round I couldn't believe how easily she was going. She was going so well - then I saw Tiger Roll on the inside, but she's amazing. "She's only eight, was the only mare in the race - it was some thrill. "Tiger Roll is just amazing - he's even better this year. He's the most gorgeous little horse, and so accurate at his fences. "He's a joy to watch." "Rathvinden ran a cracker. He had every chance, but he just wasn't good enough. "Pleasant Company appeared to be going very well, but he unseated late on. "Livelovelaugh ran well, but probably did too much too early. "I was trying to look behind Rathvinden to see who was going well, but I missed the winner. Mind, there were so many maroon colours it was hard to know! I was just trying to concentrate on my own. "I was even trying to watch Patrick (Mullins, son) - he got a great spin on the first circuit from Don Poli. "Tiger Roll is a phenomenon. For an ex-Flat horse - he's not a typical four-mile chaser - but he's got some appetite for racing with a great eye for jumping. He's once in a lifetime." "That was brilliant - it was a lot of fun. "He travelled a lot better early doors than I thought he would and jumped for fun. We were confident he'd stay galloping and get the trip well. 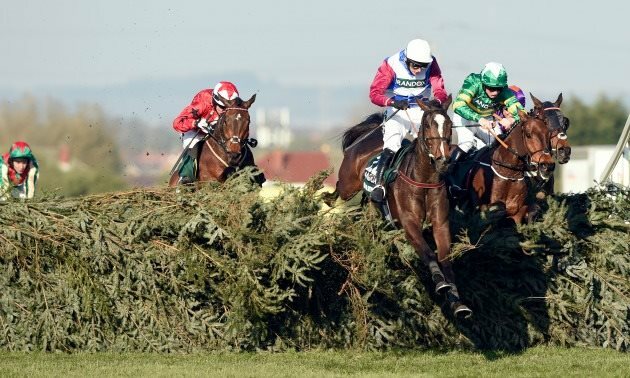 "I didn't see Tiger Roll until over the last three fences- and what a horse he is. "It was a great thrill." "He jumped very well and got a bit tired, but it was great to be riding him. He ran really well." "I'm so proud of him after the season that he has had. It wasn't quite as good as winning, but it was fantastic. "He just got tired after the last. I'm delighted. We will just get him ready for next year." "He ran very well and probably over-raced a bit for the first mile. He got a lovely position and jumped superbly, and you couldn't have asked any more from him. "He got very tired from two out. He jumped well all the way, and there wasn't a moment we were worried." "He has run a hell of a race and jumped well. The ground was softer than ideal for him, and it just took the edge off him a bit. "Paddy (Brennan) said he thought he was going to run into the frame. It was a good, solid run. I think we will bring him back here next year." "That was my second ride in the race, and it was a great spin. It was a real buzz." "I had my usual great ride off him - he just didn't get home from the back of the last. He ran a great race." "I had a lovely spin, but he just didn't stay." "He ran super, but possibly the weight and the trip found him out. I was very happy with him, and he jumped super." "The ground went too quick for Lake View Lad, and he was always flat out, and it didn't help that he got shuffled back round the bypassed fence. He was just too far out of his ground. "Warriors Tale jumped great but didn't stay." "Minella is OK. He looked good beforehand, but his old wind just catches him. That's all it is really." "He was going well enough at the time, and it is one of those things - fences catch them out when they least expect it. "I was going OK and I think I would have finished in the first six." "He made one bad mistake, but at the time he probably wasn't going well enough. He is only seven, and it might be a bit further down the line that it's better for him." "He has run really well. (Jockey) Adam (Wedge) said from the Canal Turn it was really dead, soft ground - and he couldn't flick off it like good ground. "I'm happy that he is home safe. He jumped and travelled really well. He was just tired at the end. "Next year he will have a better prep for the race, because he only ran two weeks ago. This is his third run in six weeks, but we couldn't not go." "It was great. He made one mistake and put his hind legs through the last two he jumped. He wasn't travelling great, so I pulled him up. "Bring on next year. Let's hope we can eke another year out of him, because he took to it really nicely. "I didn't want to bottom him for the sake of finishing 15th. He is home in one piece."